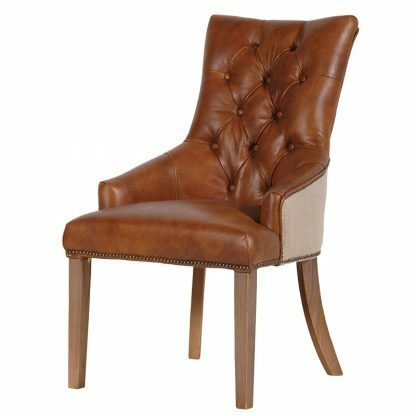 Lovely classic chair made with a solid oak frame and upholstered in a worn tan leather. 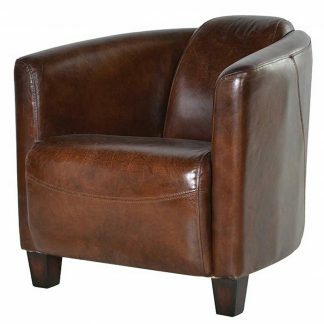 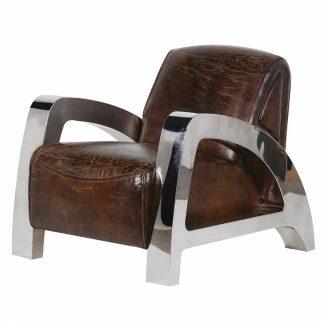 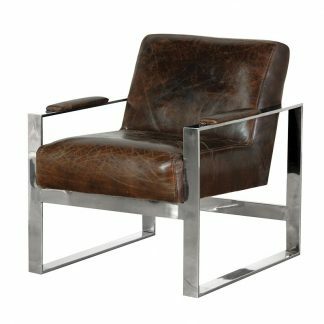 The leather has an antique worn effect to replicate that used look with button detail. 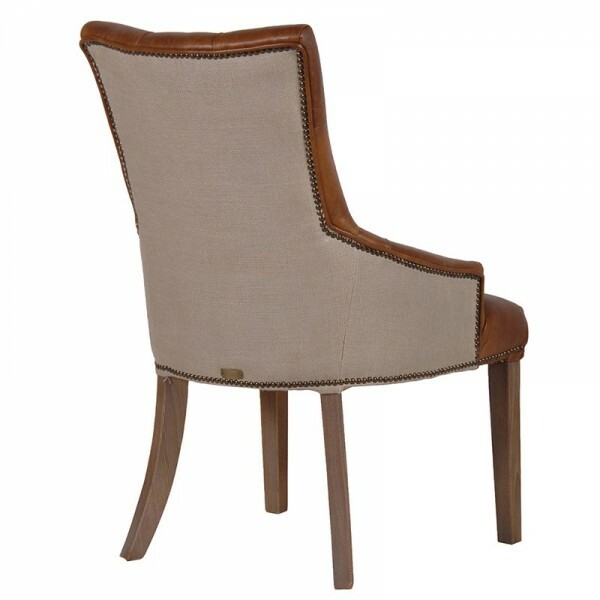 The back is covered in a beige fabric and is finished with brass studs along the seams.